Players from all over the world have been enjoying the action of bingo. Whether they play at a land location or an online site, some exciting games can lead to large payouts and offer great fun and action. Online bingo sites have become an attractive option for players who are looking for easy access to great games, and the main benefit of playing at such sites is the offering of game variations. At land based bingo halls, players will usually be restricted to one form of bingo, but when they choose to play online, they will be able to enjoy many different forms of the game, which provide choices and more entertainment. Each type of bingo will have different rules and different ways to collect payouts, so here, we offer an overview of the most popular variations that are being offered at online sites. One of the great aspects of playing online is the ability to test out some games in a free version. 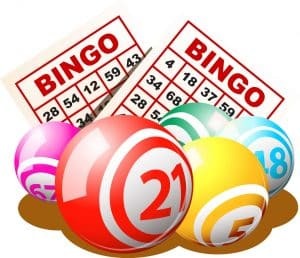 Most bingo sites will offer players a chance to play different games for free, which will provide a risk-free opportunity to learn the game rules and make a decision on what variation to play. Many online sites also offer the chance for players to play to win a progressive jackpot, which can provide the opportunity to win thousands from a single game. 80 Ball Bingo is a game that is played at a faster pace than the 90 ball version and players will be using a card that contains 4 rows and 4 columns, offering 16 numbers. When playing this game, there are four different ways in which players can win, so it does offer an additional chance to claim a payout than the 90 ball version. This game can also feature a progressive jackpot and those that play multiple cards will have better chances of winning. 75 Ball Bingo is most popular for players from the US and Canada, and this is the most traditional form of bingo offered online. With this game, the card is a 5×5 grid, and the centre square is a free space. There are many great ways to win when playing this version. Players can complete a single line horizontally, vertically or diagonally. There are also some patterns that can be used and this makes the game interesting. During a bingo session, players will come across many patterns such as the Big X, three lines, four corners, cover all, shapes of letters or numbers and more. 50 Ball Bingo is a variation that is played on just two rows with 10 numbers on the card. Players will have two ways in which they can win, one by completing any row and the other by completing a full house. This game is fast paced and offers some great payout opportunities and is one of the newer variations being offered at online sites. 30 Ball Bingo is one of the newest versions of bingo to be offered, and this game is a fast paced bingo game often called Speed Bingo. There are just three rows and three columns, offering nine numbers. There is no free space in play, and to win, players will have to cover the entire card. With 30 Ball Bingo, the speed of the game is what makes it an appealing option for many. The game is easy to play and can offer frequent payouts when players have purchased multiple cards. All of the bingo online games that are found online can be played for different amounts of money. Players will determine the card cost when they are making their purchase. Alternatively, the games are also available in a free version. While many players will like to play on their PC from the comforts of home, these bingo games can also be found on mobile devices, offering on the go action at all times. With multiple versions available, there will be a bingo game to meet the needs of every player and these games can offer handsome payouts and some great jackpots.